MY BIO: Rare is it that any author will have one of his books described as the definitive work on a particular subject, but such a distinction has been bestowed by critics on no less than four books written by James Riordan. The New York Times Bestseller Break on Through, Riordan’s biography of Doors lead singer Jim Morrison, has not only been called “the most objective, thorough and professional Morrison biography” by the Times Book Review but also named as one of the Ten All Time Best Rock Biographies by Amazon.com. 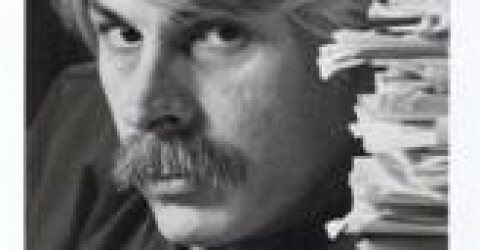 Riordan’s The Platinum Rainbow (written with Bob Monaco) was called “One of the best how-to books ever written” by the Los Angeles Daily News and “The ultimate career book on the music industry” by Recording, Engineer & Producer. Critics described Riordan’s The Bishop of Rwanda as “one of the most important books you’ll ever read.” and The Coming of the Walrus, Riordan’s novel about the 60s as “the definitive book on the era” and “a hilarious tale of a harrowing search for the greatest truth of all”. With the release of A Well Thought Out Scream and Madman in the Gate, Riordan pushed the boundaries again with poetry/song lyric books that contain hundreds of stunning, beautiful and poignant images from artists and photographers from all over the world. In the summer of 2013 a new edition of The Coming of the Walrus was released to rave reviews followed by The Kill Switch. The author of thirty-three books, James Riordan’s career began in the music industry where as a songwriter, manager, producer and concert promoter he worked with several well known artists. In 1976 he began writing a newspaper column on popular music, Rock-Pop, which he later syndicated. Riordan soon became one of America’s premier rock journalists with articles reaching millions of readers including those of Rolling Stone, Crawdaddy, Circus, Musician, and newspapers like The Chicago Daily News, The Kansas City Star, and many others. His reputation for relating on a one-to-one level soon led to interviews with George Harrison, Bob Dylan, Fleetwood Mac, Frank Zappa, The Doobie Brothers, Kenny Rogers, Barbra Mandrell, Crosby, Stills & Nash and countless others. His first book, The Platinum Rainbow (written with Bob Mon-aco in 1980) became the largest selling book ever written about the music business. The guide to “succeeding in the music business without selling your soul” was praised by Variety ,The Chicago Tribune, The Los Angeles Times, The Las Vegas Sun, The Minneapolis Tribune, Billboard, Record World and many more. The Platinum Rainbow became an industry-wide phenomenon and interviews with James Riordan were aired on over 1200 radio stations and numerous television talk shows. Next Riordan collaborated with Pulitzer Prize winner Jason Miller on a mini-series for network television (The Irish) and a movie of the week for CBS (Bless Me Father). In June 1991, William Morrow & Co. published Break On Through to outstanding sales and reviews. Riordan worked as a consultant on Oliver Stone’s film of Morrison’s life, The Doors, which led to his writing Stone’s biography. Published by Hyperion /Disney in December 1995, Entertainment Weekly called STONE “an unflinching biography… enough spectacle to fill a month of daytime-TV talk shows.” The New York Post said reading the book was like “the sensory overload of watching all of Oliver Stone’s movies back to back.” Riordan was interviewed by Inside Edition, People Magazine, The Tom Snyder Show, and many others. From 1997-2000, Riordan created and co-starred in a local television program, Kankakee Valley Prime Time, which won six Crystal Communicators, three Tellys, and earned Riordan a Chicago/ Midwest Emmy Nomination for Writing the program. In the summer of 1999, James Riordan wrote, directed and starred in Maddance, an hour long dramatic project which won Crystal Communicators for Drama, Writing, Acting and Directing. His latest dramatic project is a screenplay on the life of actress Ingrid Bergman. On April 9, 2000, James’ 16 year old son, Jeremiah, was killed as a passenger in an accident that involved three drunk drivers. Shortly after this, James founded Make it Stick which works to warn teens of the dangers of substance abuse and publishes a magazine distributed to high school students. In 2001, he founded Jeremiah’s – A Place to be Yourself to give teens a place to hang out away from the dangers of drugs and alcohol. Force to close by its incredible growth rate, Jeremiah’s was recognized as one of the fastest growing and most successful teen centers in the United States. In 2004, Toastmasters International named Riordan Communicator of the Year for Central Illinois, the YMCA gave him their Service to Youth Award and the United Way named him the Outstanding Volunteer of Kankakee County. Returning to writing, Riordan went to Africa to write The Bishop of Rwanda, (with an intro by Purpose Driven Life author Rick Warren). In November of 2006, Harper Collins released a new edition of Break On Through followed by The Coming of the Walrus (Image Workshop) in December and The Bishop of Rwanda (Thomas Nelson, Inc.) to rave reviews (“Powerful …plumbs the depths of God’s forgiveness and finds no bottom – Publisher’s Weekly). In 2011, he won the Pledge For Life Harold Award for his work with area youth. In the summer of 2012, Lee and Shane Stanley (Gridiron Gang) optioned Maddance as a feature film followed by Apothecary Films optioning The Kill Switch in 2013. Riordan joined the staff of the Mancow Syndicated Television and Radio show in January of 2014 and is now seen and heard across America on a weekly basis. His biography is included in Who’s Who in Entertainment , Who’s Who in Poetry and Contemporary Authors of America. Visit http://www.jamesriordan.com to find out more or friend us on Facebook. I’m a journalist for ShortList magazine, the UK’s biggest-selling men’s magazine. I’m writing a feature about Oliver Stone and the impact of Wall Street and, having really enjoyed your biography of him, I’d love to do a short interview with you for the piece. Hope you don’t mind but I’ve dropped you a line via Facebook too! I’m up late reading stuff deep into the google pages – and was so … kind of moved, I guess, reading the blog about your meeting Dylan at the Vineyard. I couldn’t believe you actually remembered the example I used from that message. Thanks for the wonderful description, for the rich memories you enhanced. Great to hear from you Kenn. You were a mighty force of light in my life and I will always be grateful for that! Hi James, My name is , well, James Riordan and I too have a Blog yet could not come close to your accomplishments. From time to time I search the web to see how, and where, I and my company show up (I am James F. Riordan) at http://www.riordanco.com. Truly amazing is that I played music (drummer) in the California bay area in the sixties, then got married and settled down and then picked up playing music again 37 years later! We now play mainly for charity/benefit events in our County ( Eldorado County, CA) , since none of us need the money. You can see us @ http://www.elderadoband.com and hear three cover tunes we recorded at River City Recording ( home of the Doobie Bros. And Lydia Pence) . I too have a strong Irish heritage and even built a factory near Tipperary and got to visit my ancestors town of Inchigeela, if my memory serves me, where nearly every business on the street is Riordan this and O’Riordan that . . Really had a great time. After reading all you have done, I stand amazed I had not heard of you before today . . . . Great Fun reading about you. My Grandfather dropped the “O'” from our last name upon arriving in America since the “O” was a dead giveaway he was Irish and no one was hiring the Irish except as police and train engineers, which is what they became. Anyway, great seeing your site . . . Check mine out, I think you would find it fun. http://riordanco.com/jimsblog/ I am in process of writing MANY life stories that will be added. You might enjoy seeing “how we started our business” . . . and I will be adding many short stories on my life’s experiences as well. Congratulations on your inspiring career. . . . . .I truly enjoyed learning about it! How cool. Lots of similarities. I’ll check out your site. Thanks for the kind words. A guy is in his office moving files, one falls out on the floor and spills. He’s pissed and wants to finish his duties for his fiancé, so he can have a drink and chill out for awhile. He opens a binded document. “Wax Figures. Treatment by James Riordan. Oh my God. So I googled James Riordan. I thought it was a friend I remembered from the ancient days. But no, It was a virtual dictionary of human events, surrounding this man with Jim’s name. Jim, Your search for the truth has found mighty results in helping the lives of many people. After reading your biography I thought of a statement by Winston Churchill, “We make a living by what we get. we make a life by what we give. That’s you making a life. We only knew each other for awhile, but I feel very proud to have known you. It would be really cool to find out how you are thinking these days. Thanks Greg! Would you believe I just saw this! I’ve tried to find you on Facebook, etc. It would be great to connect again. I’m a local author (and I think we went to school together) who is setting up a signing at our Barnes & Noble. I am contacting authors throughout Northern Illinois. The event would be scheduled in March or April when the weather is better. We would be thrilled to have you join us. Beware: most of us will be picking your brain and bowing reverently. Cool. Let me know. Thanks.